Photostory is specialized in manufacturing digital photo albums and all accessories and equipments related to it since 2004. Dolce Vita is the sole distributor for Photostory in the GCC and The Middle East since 2011. We at Dolce Vita provide you with wide collections of handmade Italian leather album suit all occasions. 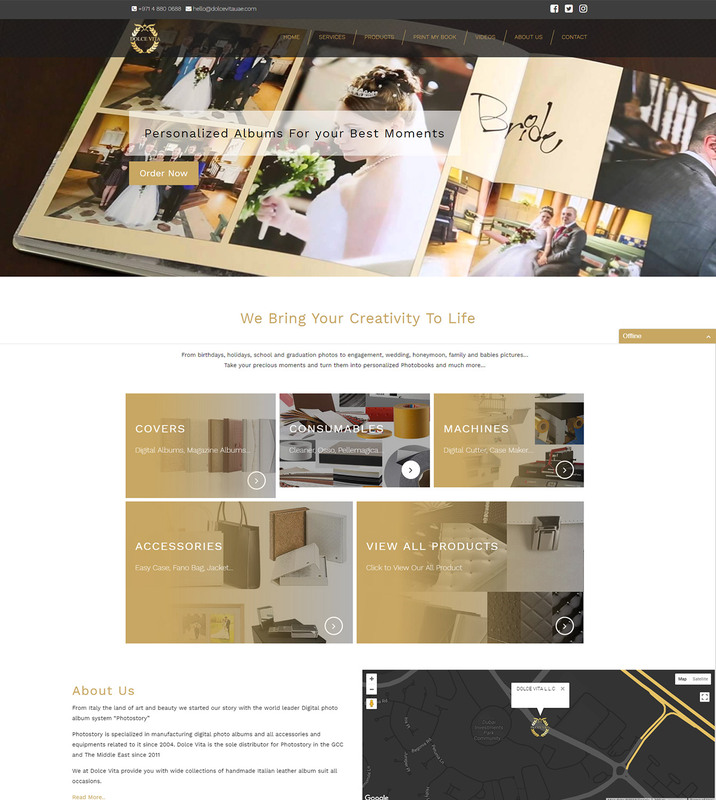 We were tasked with the new website’s look and feel, and communicated the design vision through a series a sample designs for the home, services, product listing, video and general pages. After Design phase we developed the website in WordPress. Product listing was developed to ensure that visitors can view a list of product and detals about product within the page.